Apple and European Union commission checkmate Samsung? Foss Patents reports: Samsung had failed to honor its FRAND (fair, reasonable and non-discriminatory) licensing commitment of its own patents, and it is getting antitrust scrutiny. Samsung’s various attempts to shut down Apple products — most recently the iPhone 4S — with patents declared essential to the 3G industry standard have now given rise to an antitrust investigation by Europe’s top competition “watchdog”. 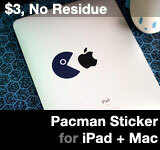 This is the most important development to date related to the world-spanning dispute between these two companies. This investigation has the potential to force Samsung to withdraw most of its claims against Apple, but let’s not forget that the underlying issue concerns the technology industry at large…. Samsung’s litigation campaign and other conduct related to its Declared-Essential Patents is so egregious that the European Commission recently has opened an investigation to determine whether Samsung’s behavior violates EU competition laws. 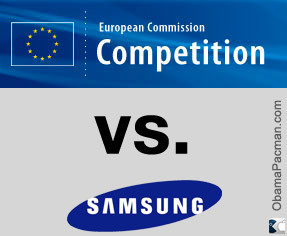 Today, European Commission’s Directorate-General for Competition (DG COMP) confirmed that Samsung is under antitrust investigation. Florian Mueller of Foss Patents adds that “contrary to some reports, there’s no indication of Apple being the target of this preliminary investigation”. Previously the commission imposes € 899 million penalty on Microsoft for non-compliance with March 2004 Antitrust Decision. Currently the EU commission is also investigating Google antitrust behaviors. Of course, good thing that Samsung doesn’t copy Apple. Apple owns unique innovative patents, not FRAND patents, so Apple can get injunction on Samsung’s infringing products. In contrast, Samsung cannot use FRAND as a weapon. This entry was posted on Friday, November 4th, 2011 at 4:45 pm	and is filed under Samsung. You can follow any responses to this entry through the RSS 2.0 feed. This is action is prompted by sheer desperation on the part of Samsung and just like Google’s purchase of money losing Motorola Mobility, a company that no one else wanted to buy for years, I think we can expect more ‘unexpected’ panicking on the part of Android OEM’s in the near and long term future.